Somehow gingham always reminds me of school uniforms and farms. 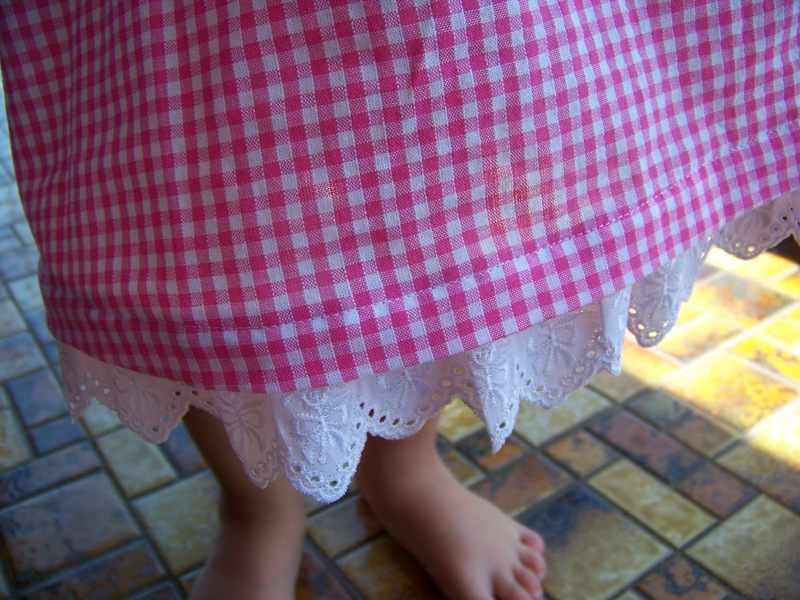 However, when I first do a pattern for the kids I don't use the really crappy fabric that I use to make my muslins, but I use a fabric that I don't have any great attachment to ... like this pink cotton gingham. Remnant from Spotlight, easy to work with, you know, okay, just not something I would choose deliberately. 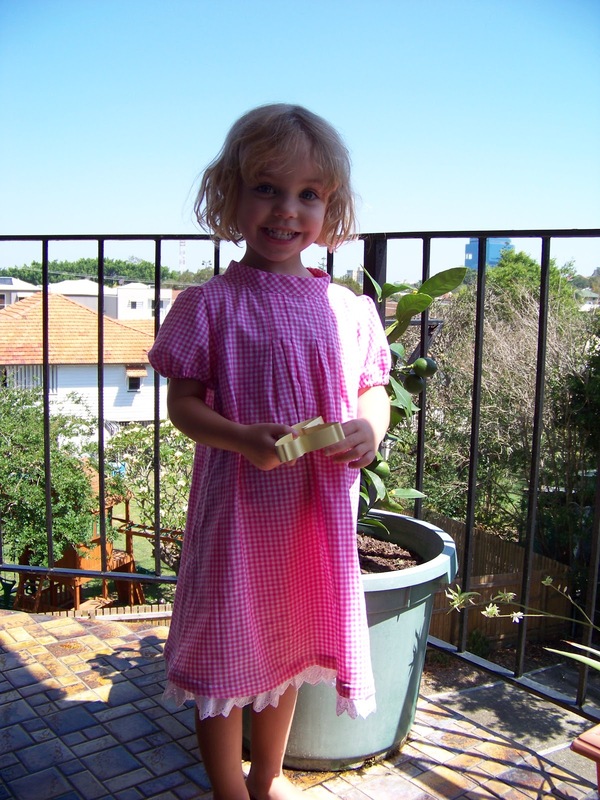 The pattern itself was okay, it is one of those little girls dresses that is really quite common. It became a UFO when I didn't have the patience to figure things out right then and there, and after a while it just laid there and I did other things. I forgot to take before pictures, but essentially I still needed to set in the sleeves, finish of the neck line and the hem. I did set some eyelet lace under the hem, because I have seen something similar in RTW dresses for little girls and I thought the dress suits it. 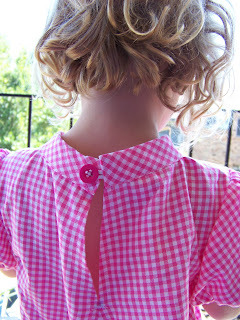 I love the gingham! She looks so cute in it. She looks cute in this dress. It's very girlie. I love it :) My sisters and I all had pink gingham dresses with the eyelet lace under the hem, with little pig-shaped buttons on them, when we were small. I love pink gingham, even if people think it looks homemade, to me it's the good sort of home made! !